Our bespoke gallery prints are in a class of their own! 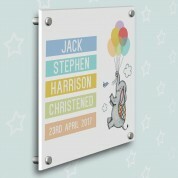 Unlike standard prints, your Personalised baby boy Christening Print is directly printed onto Polished 5mmWhite Perspex with “state of the art” UV printing technology. 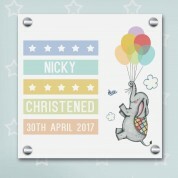 The hand illustrated Elephant has a “textured 3D” feel when touched and the polished perspex frame gives an impressive and unusual reflective shine that makes the design stand out. 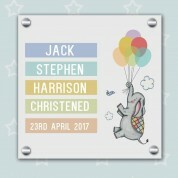 This design is completed with your very own personalisation in coloured bars that compliment the colours in the illustration. 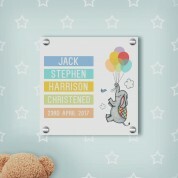 This is a unique modern touch to your baby boy's nursery wall. 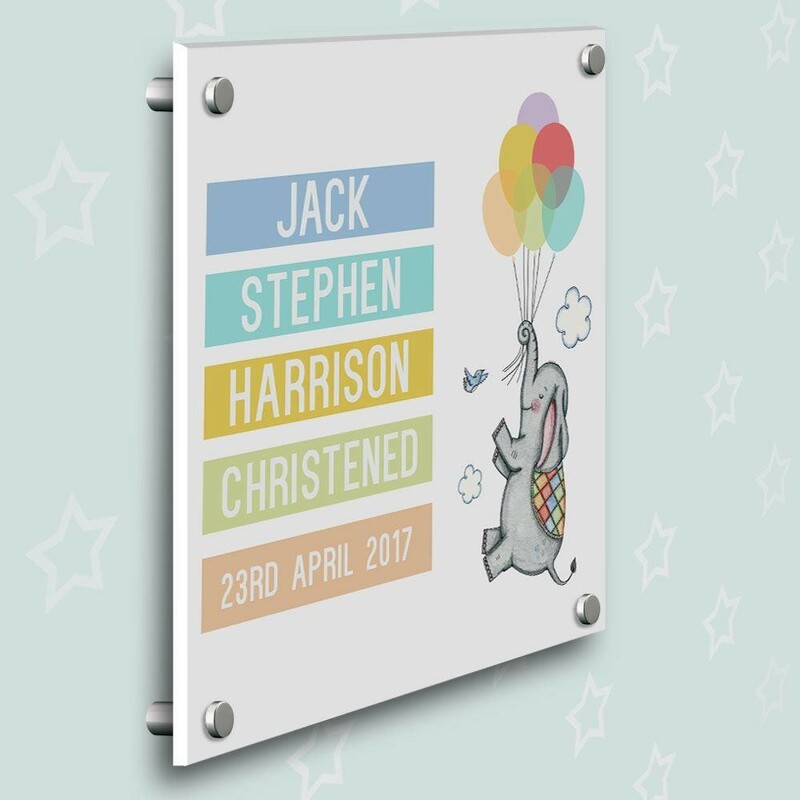 We will fully personalise your Baby Christening Frame with the full name of the child, the occasion and the date of occasion.